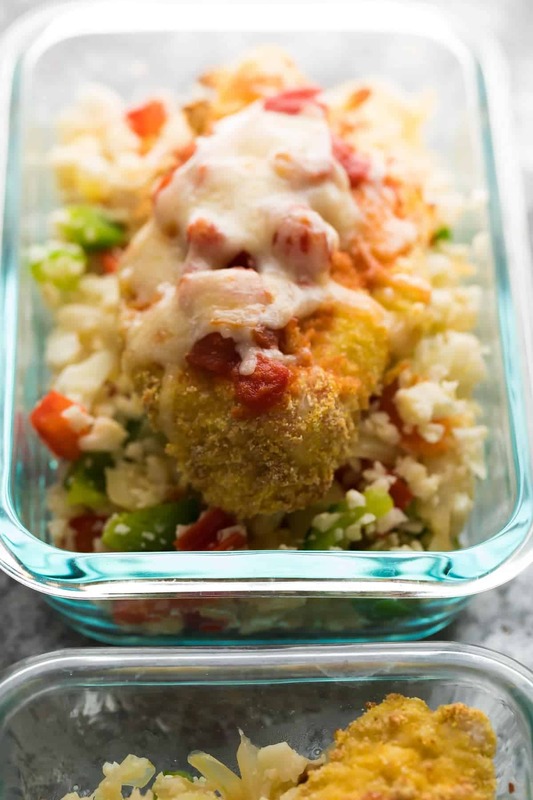 Mexican chicken parm and cauliflower rice meal prep bowls make for a tasty, low carb work lunch that can be prepped on the weekend. Topped with jalapeño Monterey Jack cheese for a little kick! We’ve just wrapped up our second Lunch Prep Challenge, and it was an absolute blast! I love the challenges because I learn so much about different people’s likes/dislikes, dietary needs, and how other families eat. This time around, there were some requests for lower carb meal prep lunch recipes. 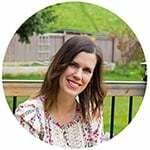 Now as a hungry carb-loving pregnant lady, the thought of cutting carbs made me worried it would mean going hungry. 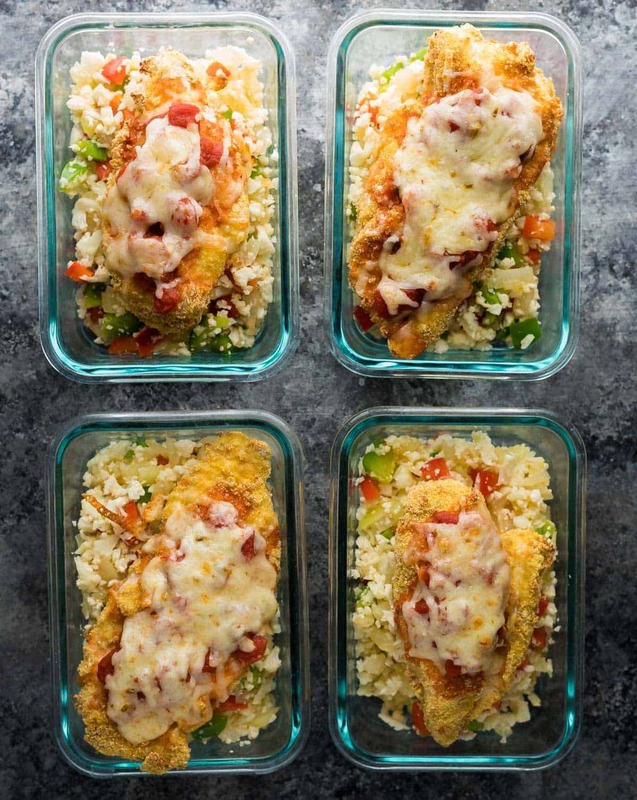 Luckily, these Mexican chicken parm and caulifower rice meal prep bowls are not going to leave you feeling hungry! 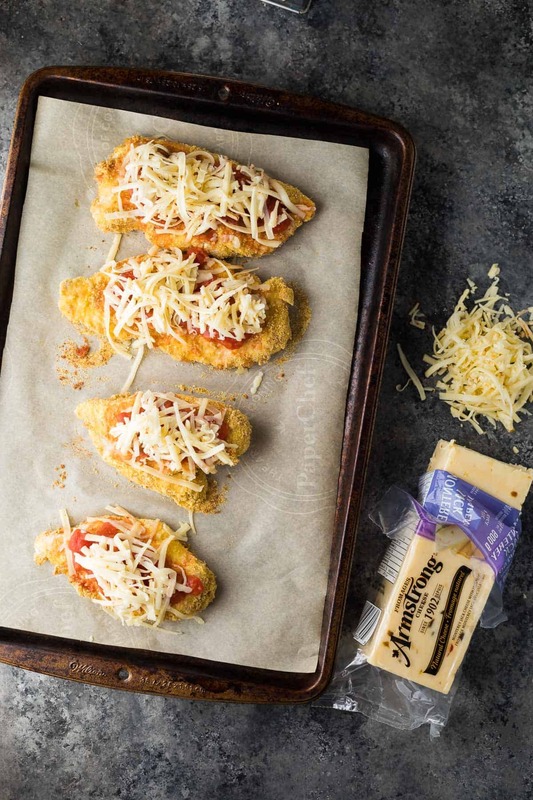 They are filling, and full of flavor, and have a little kick thanks to Armstrong Cheese’s new Monterey Jack with Jalapeño. This post is brought to you in partnership with Armstrong Cheese, a Canadian heritage brand that I’ve loved and eaten as far back as my memory stretches. 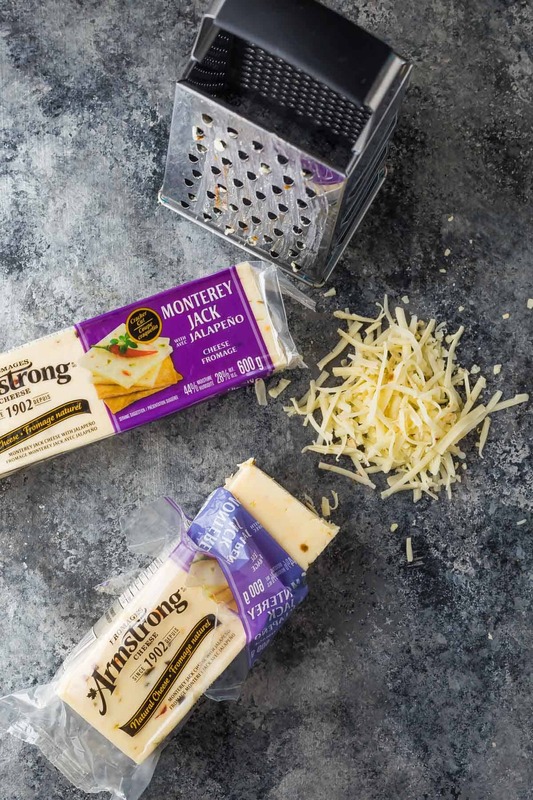 Armstrong Cheese has taken new, exciting flavors and put them into our favourite family-friendly block. I can’t wait to try the Garden Herb and Havarti…hello heaven! 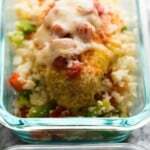 To pair with the Monterey Jack with Jalapeño, I created this ‘chicken parmesan’ inspired Mexican chicken served in some cauliflower rice meal prep bowls. I added some ground cumin and coriander to the breadcrumb mixture, topped with some salsa in place of marinara, and smothered it with the Monterey Jack with Jalapeño cheese. 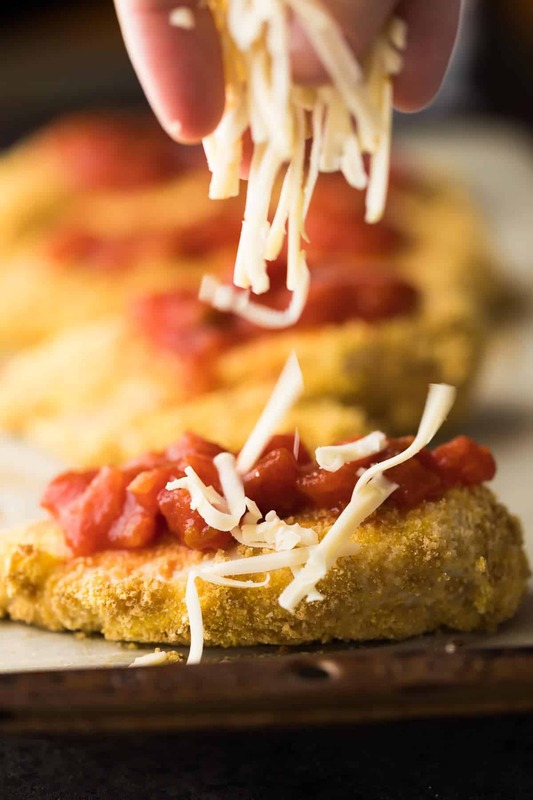 And I think I might just like this version better than traditional chicken parmesan! You could enjoy these as dinner or as meal prep bowls. The chicken is crispy and delicious right after cooking, and while the texture will soften slightly in the fridge, the awesome flavours stick around for good! 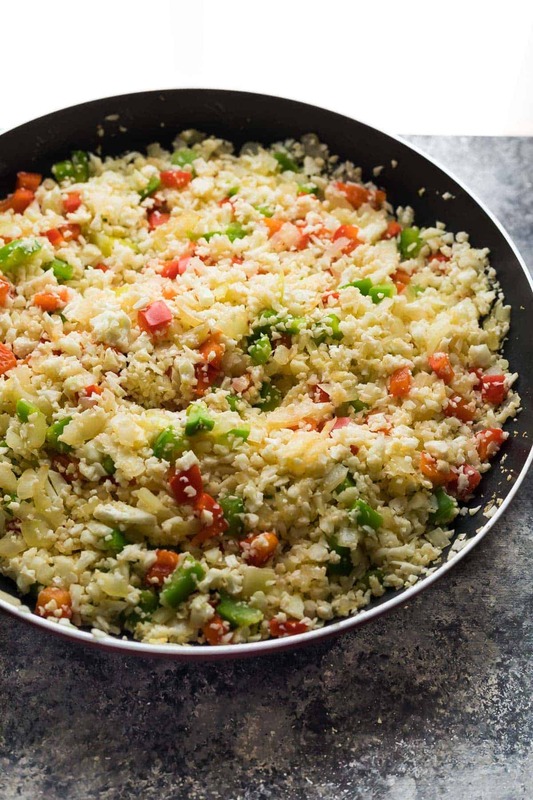 I was happily surprised with how well the cauliflower rice held up in the fridge. I cooked mine al dente, so that as it cooks in the microwave as you re-heat the meal prep bowls, it won’t get mushy. Another tip: don’t over process your cauliflower. Cutting the cauliflower into smaller chunks (rather than larger ones) before processing helped me get uniform, larger cauliflower rice. 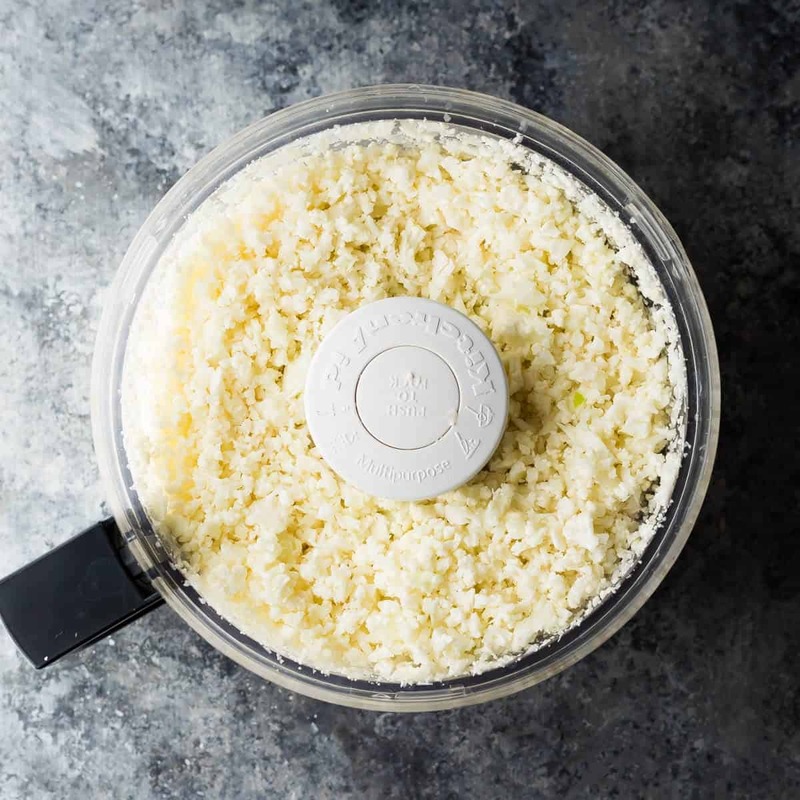 I kept the flavours of the cauliflower rice really simple because with this dish, it’s all about that Mexican chicken parm…and that cheese! Thank you to Armstrong Cheese for sponsoring this post! As always, all opinions are my own. Heat oven to 375°F. Line a baking sheet with parchment and set aside. In three separate bowls combine: 1) flour 2) egg 3) cornmeal, panko, salt, cumin and coriander. Prepare the chicken breast, cutting large portions in half (the way you would if you were butterflying it). Dip first in the flour, shaking off excess, then in the egg to coat, and finally, roll in the cornmeal mixture until fully coated. Place chicken breast on the baking sheet and repeat with remaining portions. Bake for 10 minutes, flip, then bake for another 10 minutes. Spread with 2 tablespoons of salsa, and sprinkle with 2-4 tablespoons of cheese. Return to oven for 5 minutes, or until cheese is melted and bubbly. Cauliflower RiceWhile chicken is baking, prepare the cauliflower rice. Add the onion and cook for 5 or so minutes, until soft. Add the garlic and cook for a minute. Add the bell pepper and cook for 3-4 minutes, until slightly soft. Add the riced cauliflower and salt, and continue cooking for 3-4 more minutes. You want your veggies to be al dente and not completely soft. Lunch BowlsDivide the cauliflower rice between four 2 cup capacity storage containers. Top each with a portion of chicken. Store for up to 4 days. To Re-heatHeat in the microwave until heated through. How many calories would it be with just grilled chicken instead of all the bread crumbs/flour/cornmeal? Hi Amanda, unfortunately I don’t have that information…you could try running it through the My Fitness Pal calorie counting program? Third time making this recipe Denise, we love it! My chicken breasts tend to be a bit larger so I find I need two eggs and a bit more flour and bread crumb mix. .I make it for dinner for two of us and then have the other two servings for my lunch later in the week. Thanks for giving us more variety in our meals!